the artist, year of decoration and sometimes who potted the vase. A variety of paper labels were also affixed by the factory. 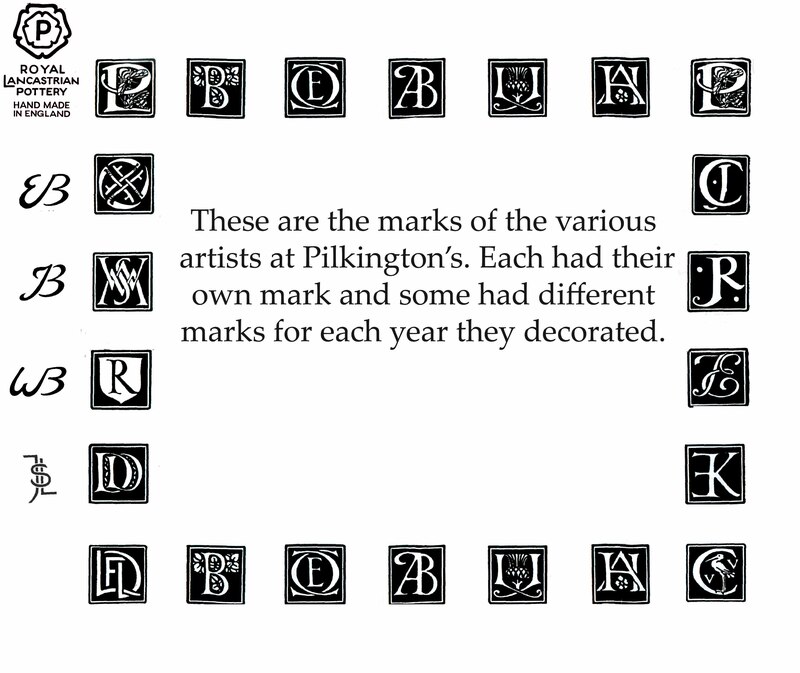 Pilkington's Lancastrian Pottery Society can identify artists and date vases using the key to these marks, (e.g. This base is from the post 1905 period. 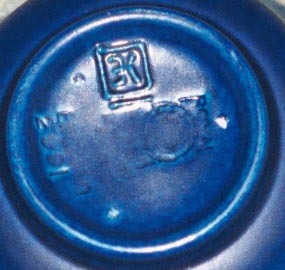 The Pilkington/Burton logo is present but note the shape number and the date in Roman Numerals. 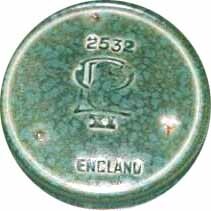 This base is unusual but shows some very typical marks following the award of the Royal warrant. The artist's mark for W.S.Mycock is clear. Also clear is the design symbol for Walter Crane. Lastly the "tudor" rose and Royal Lancastrian marks are visible. 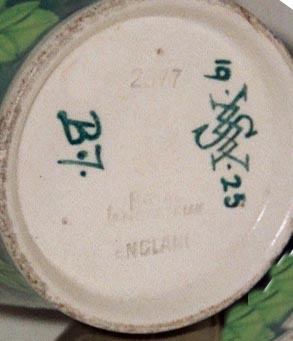 The pottery artists at Pilkington's each had their own distinctive mark. 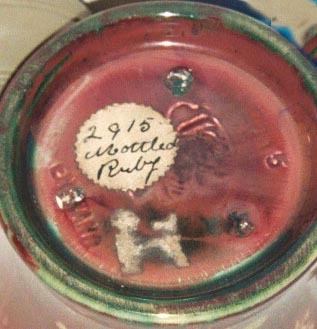 The male artists also used a specific mark to denote the year a vase was decorated. Whilst the tile artists occasionally put a mark or signature to their work this was not common. Some artists are much more scarce than others which influences the value of an item. The marks of certain artists for example Evans or Ormerod are very rarely seen. The Society is able to identify most marks and the year of production for members. 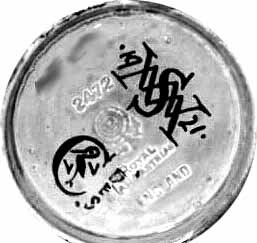 A stylised presentation of artist's marks is shown below.